The Teagarden Wicker Sectional Set in an attractive mocha finish includes seating for four or more, and ottomans for two to kick back. Relax in comfort on the included thick outdoor cushions in a neutral taupe shade that will blend with any decor. 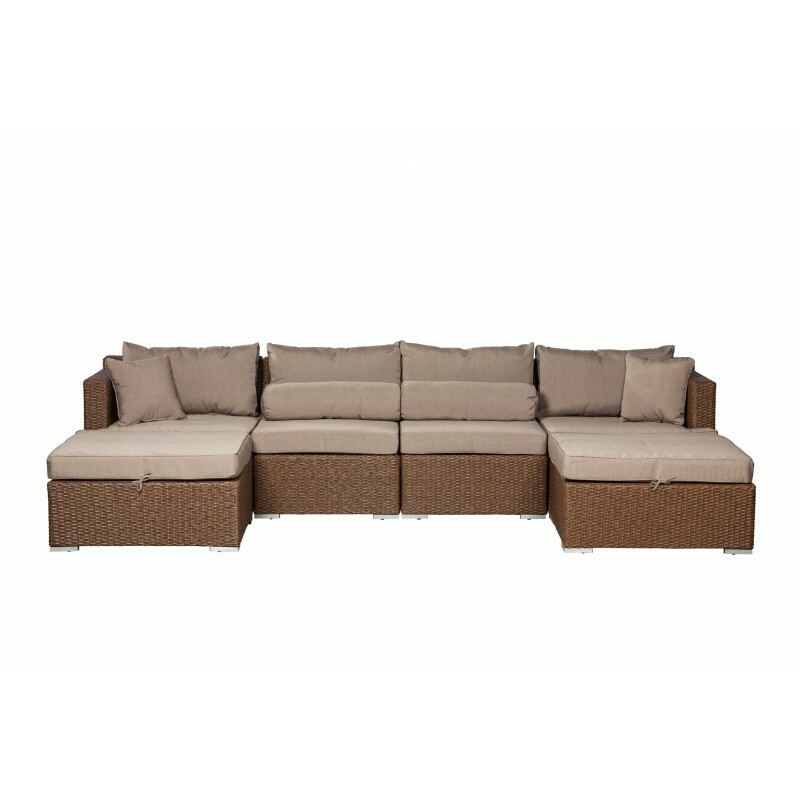 This sectional can be used year-round and provides a maintenance-free outdoor seating experience. Reposition the ottomans as desired to create an extra-wide lounge section or two symmetrical chaise lounge sections, or detach to use as additional seating for a crowd. Carton Dimensions: Carton 1: 41"L x 29"W x 29"H, 60 lbs. Carton 2: 24"L x 29"W x 26"H, 34 lbs. Carton 3: 41"L x 38"W x 29"H, 68 lbs.